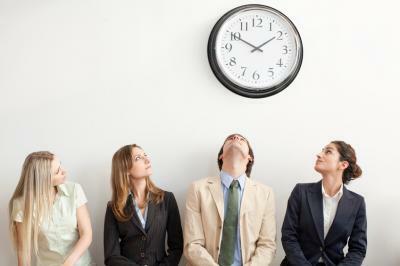 Psychologists have taken a whack at describing why people are impatient and they point out that impatience is often triggered when we have a goal and then realize it is going to be more difficult than we expected to reach that goal. Taking a more direct approach, the Cambridge Dictionary indicates impatience is the feeling of being annoyed by someone's mistakes or because you have to wait. To us it seems more people are more impatient more often these days. In short, this need for immediacy has impacted all businesses and banks are certainly not immune. The question facing banks is whether or not people will pay more for immediacy. Consider that already in other industries people pay more for faster internet service, to jump into the front of the line at amusement parks and to get things delivered faster for instance. Take, for example, Amazon, which has catered to shoppers' need for immediacy. While it wasn't that long ago that two-day delivery of items ordered through Amazon was impressive, in many places the online retailer's Prime Now service not only provides shoppers with same day delivery of the items they purchase, but even 1 or 2 hour delivery for a small additional fee. Not everyone is impressed, however. When Amazon recently launched its Prime Now service in Paris, the city was less than receptive. Paris' mayor asked national legislators to create laws aimed at preventing what she calls "unfair competition" from companies such as Amazon. She says they pose a threat to local shops and craftsmen and will harm the quality of life for the city's residents. We don't think she will be successful longer term, but we are intrigued by her efforts nonetheless. Amazon's efforts to cater to people's impatience made us think about how the banking industry is itself catering to people's unwillingness to wait for things. Some banks have begun allowing customers to pay a fee so that they can gain immediate access to funds from checks that have not yet cleared for instance. At a minimum, this move puts banks in direct competition with the more than 13,000 check cashing stores around the US that have long been popular. Such stores cater to roughly 30mm people so this is interesting to say the least. One bank that has already moved into the check cashing business is Fifth Third. It added a new checking account it calls Express Banking that lets customers immediately access check deposits for fees ranging from 1% to 4% - depending on how active individual customers are at the bank. Meanwhile, some other large banks are reportedly in the process of setting up similar check cashing accounts, according to Fiserv (which is helping them set it up). Meanwhile, a survey by Fiserv finds roughly 70% of bank customers say they would use check cashing services at least 1x each month if they were offered by a bank. Whether or not your bank adds check cashing or other fee for immediacy services, we wanted to make sure that your bank was at least aware of the trend. Hopefully it helps give you the opportunity to become an early entrant - right alongside the industry's biggest banks. Yields were up 5bp as the 30-year bond auction saw less investor demand while stronger than expected economic data was reported. Research by IDC finds the average office worker spends 39% of their time doing role specific tasks, 28% of their time reading and answering email, 19% searching for and gathering information and only 14% collaborating and communicating internally. An RMA survey finds bankers say the most important factors they consider when setting capital risk limits are: examiner demands or requests (30%), stress test results (24%), and reasonableness (22%). A Viacom Media survey of millennials finds 53% say their bank does not offer anything different than other banks. A Gartner survey of bank executives finds the primary business priorities are growth (54%), customers (31%) and workforce (27%). A survey by the RMA of community banks finds 56% of respondents say they expect to participate in M&A in the next 2Ys, while 44% said they did not. Interestingly, of those expecting to do M&A, 86% said they plan to acquire another bank while only 14% expect to sell. A study of small business trends by online lender OnDeck finds 57% plan to take a vacation this year, but 61% will take 1 week, 26% will only take a few days and only 9% will take 2 full weeks. Meanwhile, 67% said they would check in with work at least 1x per day. The Council of Economic Advisors predicts the following probabilities of jobs being replaced by a robot in the coming years: <$20 per hour in pay (83% chance), $20 to $40 per hour (31%), $40 or more (4%).